If you plan to come to Japan and work here, the most common job you’ll end up with is teaching English. 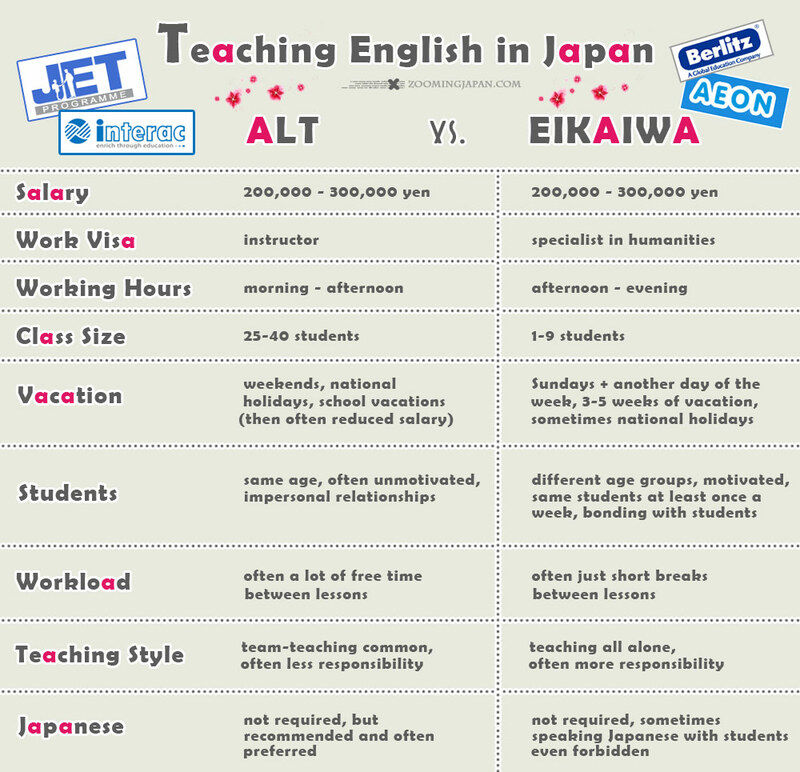 Teaching at an eikaiwa (conversational school) or as an ALT (assistant language teacher). Although both involve teaching English, there are some substantial differences and you should be well-informed before you make a decision. Work at an English conversation school (eikaiwa) almost always requires you to work from noon to late evening, simply because students are coming in after school or work. Class sizes are small, students are somewhat motivated as they (or their parents) pay for it. Usually you’ll teach the classes on your own. All (or at least the bigger part of) the responsibility (preparation, material, lesson plans) lies in your hands. Working as an assistant language teacher (ALT) means that you’ll work in one or several Japanese schools (elementary, jr. high or high schools). Class sizes are huge (35-40 students are quite normal) and a lot of the students don’t care about learning English. Their motivation might be quite low. Usually you work during school hours (morning – afternoon) and a the Japanese English teacher of the class is in the room with you. While it depends on the school, you’ll certainly have less responsibility and less workload than in a regular eikaiwa school. I know that a lot of you are interested in how much you can earn as an English teacher in Japan. The average salary has been about 250,000 yen for many years now. A lot of “dispatch companies” providing ALT positions (e.g. Interac, ALTIA) often offer less than that. Unfortunately it’s common practice not to pay you the full salary in months with long vacations (August, December). Be very careful when choosing a job and read your contract thoroughly before signing it. Your best option is to go with the JET Programme if you want an ALT position. 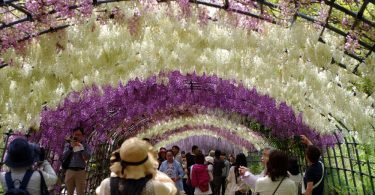 They usually offer the highest salary of around 300,000 yen and pay the full amount even in months with a lot of holidays. While the standard salary is 250,000 yen for eikaiwa schools, you’ll find a few that offer more. But be careful, often there’s a reason for the higher amount. It might be a position with a high workload or it might be in the countryside where a lot of foreigners don’t want to live it seems. I wouldn’t recommend taking a job that offers less than 250,000 yen! As an ALT you’re usually bound to the school hours and have the weekends off unless there’s a special event you might have to attend. Normally you’ll also have long vacations, though like mentioned, you might not get fully paid during that time. I have no personal experience being an ALT and it certainly differs from school to school and city to city, but in most cases, you’ll have a lot of down time in the teachers’ room where you can pretty much do whatever you want. Most people use that time to study Japanese or read books. Others go crazy because they’re bored out of their mind. Some motivated ones try to create material they could use in class or come up with new lesson ideas. As an eikaiwa teacher you’ll usually work from noon to the late evening (e.g. 1 p.m. – 9 p.m.) and most likely you won’t have the weekends off. Saturday is actually the busiest day for the majority of eikaiwa schools, so you’ll have to work on that day. Some schools are closed on Sun + Mon, so at least you’ll have two consecutive days off, but most of the time you won’t! In my first job I never had two days off in a row. That can be very exhausting. Generally you’ll have less vacation time than an ALT teacher. You’re not bound to public schools’ vacation time. Depending on the conversation school you’re working for, you might get national holidays off or not. Pretty standard is to get 3-5 weeks off throughout the year, but each and every school is different, so check carefully before signing anything. Working on Saturdays and until 10 p.m. during the week also means that it’s harder to meet people or catch up with friends. But if you’re a night owl, then the working hours are heaven! Most likely you’re going to be busier as an eikaiwa teacher. You’re teaching several lessons a day with just very short breaks in between – if at all. Your day is probably going to look like this: You’re coming in the early afternoon, preparing for all of your lessons at once. Then, you’ll teach one lesson after another. Finally, you can go home in the late evening. It depends on how big the school is and how many teacher there are, but some small, family-run eikaiwas have barely enough staff members, so if you get sick, there might be nobody to take over your classes. As an ALT, that’s not going to be such a big problem. If you’re sick, you’re sick. It’s not like they cannot do without you. Depending on the school(s) you’re working for, you might spend a lot of your time alone in the teachers’ room, bored. However, you might have to travel to different schools throughout the day. 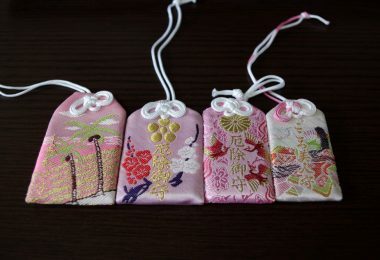 There are special events you have to attend as an eikaiwa and ALT teacher such as school festivals, speech contests and usually there’s also an observation day where parents come in to see what’s going on. Depending on the school, you might not only have to teach, but also help keeping the school clean, sorting material, creating new lesson material, selling products to students etc. Especially when you’re teaching little kids as an eikaiwa teacher, you often have to be more of an entertainer than a teacher – being all happy-go-lucky, dancing and singing with the kids. This might not be for everyone – and that’s also a reason why some schools prefer younger teachers as they are worried older people won’t have the necessary stamina. And I can see where this is coming from. If you teach little kids for several hours every day, it can be very exhausting. At least, I feel that way sometimes and I’m only in my early 30s. Most schools want you to wear proper business attire. As an ALT you might be allowed to come in casual wear. Again, this depends greatly on the school you’re working for. Some companies such as Interac have a rather strict dress code. Usually business wear includes a suit and tie for men and a blouse and jacket for women, although as a women I’ve stretched the dress code quite a bit (especially in summer) and never got scolded. And just so you know, my Japanese co-workers did the same. Classroom sizes in public schools are fair big between 25 – 40 students. So, if you’re working as an ALT, it often feels rather impersonal. It might be hard to manage such a huge class even with a Japanese teacher around. Don’t expect all of them to be eager to learn English. Obviously, all the students in the classroom are pretty much the same age. You won’t get much of a variety throughout the day. If you want to learn more about what life is like as an ALT teacher, I highly recommend reading Baye’s book “Loco in Yokohama“. As an eikaiwa teacher, you’ll have much smaller class sizes (1-9 students per class). Classes are much easier to manage and most(!) students are more or less motivated. You’ll teach the same students at least once a week which means it’s great for bonding with them. If you stick around long enough, you’ll see them grow up and you get to know them really well. You’ll teach a variety of ages throughout the day. Usually you’ll start with the little ones at kindergarten age, then elementary and later that day jr. high and high school students or adult conversation classes. Of course, this means you need to be able to prepare a variety of lesson plans and get along with people of all ages, but it never gets boring. As an ALT, the teaching material depends on your particular dispatch company/school/team teacher. So, sometimes you’re allowed to design your entire lesson on your own, sometimes you have to stick to premade lesson plans. Most of the time, you’ll be team-teaching with the JTE (Japanese Teacher of English), so especially for people who have no teaching experience this might be reassuring. Depending on your team-teacher it also can be hell, though. As an eikaiwa teacher, you’ll be using the material and teaching method you’re school is using and promoting. There are several popular methods and materials out there and it would go too far to explain all about it. Most eikaiwa schools want their teachers to adapt to their system and then create their lesson plans accordingly. I’ve noticed that thus some schools are looking for young, inexperienced people as they fear that experienced English teachers might be too stubborn to follow the eikaiwa’s teaching method. As long as it’s a good method, I don’t see any issues. You have a lot of freedom, but an already premade template you can follow. And most schools welcome new suggestions, ideas or material you created on your own as addition to what they’re offering. The problem with the big chain eikaiwa schools is that you are often not only a teacher, but also a promoter. You’re supposed to sell things (CDs, books etc.) to your students. I’ve heard many people complain about that. As I’ve only worked for small, independent eikaiwa schools, I’ve never had this problem, though. A lot of people ask me if it’s necessary to be able to speak Japanese if you want to teach English in Japan. The easy and short answer is: no! BUT of course it will help greatly in your daily life if you speak the language of the country you’re living in! So, study, study, STUDY once you’re in Japan! I’ll be honest. In my job as an eikaiwa teacher it helps a bunch that I can understand (and communicate) in Japanese. When I’m teaching 3-year-old kids who suddenly start crying and I’m the only adult around, I naturally speak Japanese with them to calm them down. It would be so much harder if they couldn’t understand me. Junior high school students can be very rebellious and I’ve seen teachers who couldn’t manage a class simply because they didn’t understand enough Japanese to keep them under control. That being said, a lot of eikaiwa schools actually forbid you (or at least ask you not) to speak Japanese with the students at all. It’s their only time when they’re immersed in English and if they think you cannot understand them, they’re forced to use English to communicate with you. While I understand this approach, it certainly doesn’t always work that way. And I get my students to speak only English with me, although they know I understand Japanese. Also, they know they can always ask me in Japanese if there’s a real problem (e.g. if they suddenly feel sick). 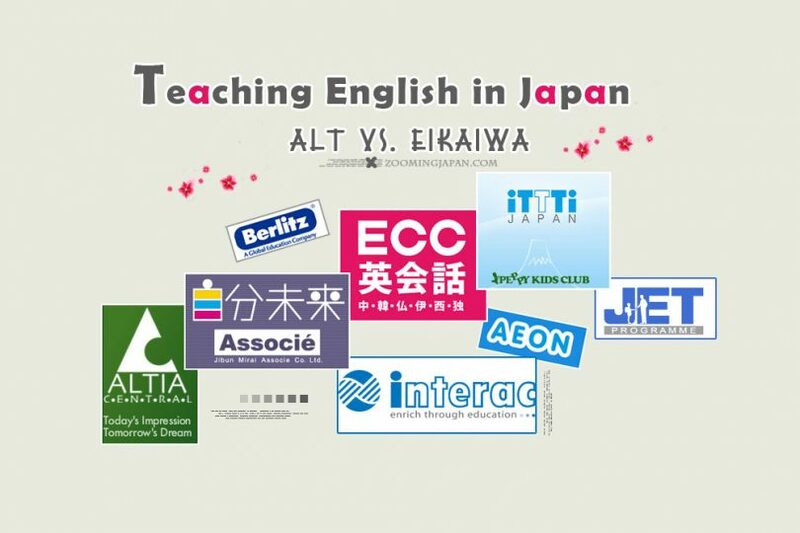 In most eikaiwa schools, the business language among co-workers is English. Usually all staff members can speak English to a certain degree, so you’ll mainly communicate in English (although that differs from school to school, of course). And I only communicate in Japanese with my co-workers these days. As an ALT teacher, you’re immersed in Japanese. Everyone around you will most likely only speak Japanese. Some of the teachers in the teachers’ room won’t be able to speak English at all. Even the JTE (Japanese English Teacher) won’t be too fluent in English (trust me). It’s a great way to boost your Japanese skills and I can see it might be harder to work as an ALT if you understand close to zero Japanese. 98% of all job positions in the ALT and eikaiwa field won’t require you to speak Japanese, some might prefer Japanese skills, but it’s not a must. So, don’t be afraid of that, but make sure to study once you’re here (at the latest) because, hello, you’re in Japan now! Last but not least we also have to talk about the work visa. Unless you’re a Japanese citizen, you’ll need a proper work visa. However, the type of visa you need for an ALT position is not the same as that for an eikaiwa one! If you’re a native speaker of English, then you don’t have to worry. You can easily obtain either of these work visa types as long as you fulfill the requirements (passport of an English-speaking country, thus having been educated in English for several years, a BA / BS degree in any field). You can find the exact requirements for the “instructor visa” (for ALT) and “specialist in humanities” (for eikaiwa) when you click on the respective links. It does, however, matter a lot if you are a non-native speaker of English. In my experience it is a little bit easier to obtain the “specialist in humanities” visa, simply because the rules about “being educated in English” are less strict than for the “instructor” visa. That means you’re probably going to have an easier time if you go for an eikaiwa position (and thus humanities visa) as a non-native speaker of English. Don’t take this for granted, though. You need a bit of luck as well and obtaining a visa in Japan is always an adventure anyways. Where To Find Teaching Jobs? The ones with the asterisk (*) are my personal favorites as I’ve found jobs through them. What Should YOU Choose? ALT or Eikaiwa? First of all, you should try to figure out whether teaching is for you or not. How? Well, just do it! Before I came to Japan to teach, I thought I would hate teaching little kids. But I wanted to come to Japan so badly, that I just thought I should give it a try. I ended up loving it! 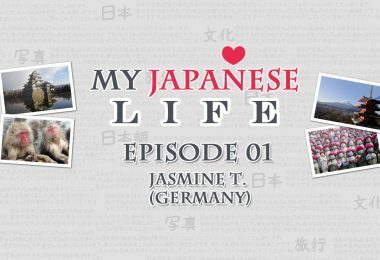 You can read all about my “coming to Japan” story here. Like I said in the beginning of this article, ALT and eikaiwa positions are only the two major English teaching job opportunities. There are a lot more like working at international kindergartens or schools, working for companies to teach business English or even teaching at universities. The requirements for these kinds of jobs are usually higher and it’s harder to get in, so for “newbies” the two job types I introduced today are promising a smoother start into working life in Japan. Which one is for you? I think one main factor to focus on is the working hours. Would you prefer “normal working hours” or are you a night owl like me? Then, working at an eikaiwa school might be the better option for you. Another point you should consider is class size. As an ALT you’ll have huge class sizes versus smaller ones in most eikaiwa schools. Which would you prefer? As an assistant language teacher you’ll be immersed into Japanese school life and it will also boost your Japanese skills (if you’re willing to study at the same time, of course). As an eikaiwa teacher you won’t see much of the typical school life, but you usually get to know your students really well and see them grow (up). Only YOU can decide which is the better option. Sometimes it’s just best to try both. Maybe none of these two options is for you, but you won’t know until you try. I know you might have a lot of questions even after reading this article. Feel free to ask me anything in the comments below and I’ll do my best to reply or write another article to help solve your fears, worries and any issues you might have. However, I also think it would be very interesting to read about other people’s experience with teaching English in Japan. I’m quite sure that not everyone would agree to what I’ve written in today’s blog post and certainly everyone has rather different experiences, so please share them with all of us! 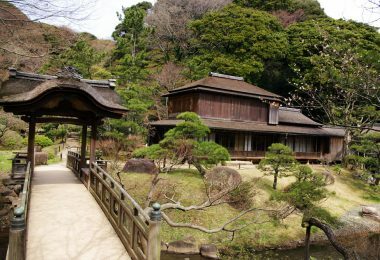 Dreaming of a Life in Japan? Reality Check! If I don’t have any prior teaching experience, which would be better for me, ALT or eikawa? I don’t want to be that person who looks like a deer in headlights because I don’t know what to do or how to teach due to having no teaching or tutoring experience. In that case I’d say “ALT” as in most cases you’ll only be an “assistant” and there’s always a “main teacher” around. But you’ll get the hang of it and most eikaiwa will give you proper training or send you somewhere to get training. Thank you for this article! I found a lot of great information that I did not know beforehand. I will be studying abroad in Japan for a semester this spring so I am super excited! I am also wanting to teach English in Japan so your article is a tremendous resource. I think I will go with the eikawa schools to teach English. Of course I have to first get accepted by a company and teach there for a few years, but do you have any insight or information on what to do after your years of teaching English? For example if I wanted to continue teaching or working in Japan. If your Japanese is good enough, you can always try to find a job in a different field. Teaching was just my thing, it’s also related to what I studied in university, so I never considered doing something else. So what degree’s are required. I’m a high school senior in the US and really want to teach in Japan. So what degree’s or certifications should I get before going out there? You say U.S., so I suppose that’s also your nationality? If so, you need at least a BS/BA degree in whatever. Better chances you’ll have with a degree related to teaching English, but it’s not required. I’ve met people from your country during training sessions. They didn’t seem to have an issue finding a job and obtaining a visa. I don’t think this has changed in the past few years. Hi. I’m Jenny. I just want to share my experience with you. And I have also a question about my position. I’m 27 years old. I’m a Filipino. I’ve been married to my Japanese husband for 2 years and I’m currently living in Japan together with my husband and our son. My husband is a car engine mechanic. On last year, my husband’s customer ask me if I can teach her son and her nephew an English, because she know that Filipino people can speak English well. Then I agreed to teach her son, nephew and her niece. I thought that I will only teach a two children. But it’s fine to me.. The more the merrier. ^_^ And my dream is to be a teacher. And I am really confident to teach them an English because I can also speak and read Japanese (but not so perfect and still studying with my own) I can write Katakana and Hiraga and some easy kanji (and still practicing to write). I know with this knowledge I can explain our English lesson easily in Japanese language. This is my first time to teach English to Japanese children and I’m loving it. I’m loving teaching them. Before when I was in the Philippines, I’m voluntarily teaching to those children in a day care center. And even when I was a student, I’m always a president of a class and a student-teacher. But when I was in my fourth year high school, 1st grading period, I was stopped in my high school. Because I cannot longer study because I’m working at night from 7pm until 4am and my class is 6am to 3am. ( In the Philippines, higher section class will start in the morning until in the afternoon). I’m a bread winner of my family. At that time My father got sick, he was stroked and I have 2 brothers who also studying. So I think I need to give away to my brothers and for my family. I thought that I can back on my study when my father’s heal. But still no. I’m continuing to supporting them. And let my brothers finish their study. My father is still alive right now, but still stroke. My mother is taking care of him. My brother finished his course, as a police last year. He was finally graduated. My question is, can I still teach English here in japan even a tutor to the Japanese children, even though I don’t have license for teaching? As you are married, I suppose you have a spouse visa. Having a work visa like that is already a good start. With that you can be a tutor, you can work at eikaiwa and also as an ALT. But there’s a lot of competition. Depending on where you are applying, your English must be perfect to be considered. If you’re only teaching little kids and your pronunciation is good, then you might have a good chance. You only need a teaching license if you want to be a “real teacher” in Japan – which I wouldn’t recommend. I’m glad that you respond my mail.You made my self-esteem high. Thank you very much 😊 I’m lucky that I’ve found your page. I will keep studying both English and Japanese. Hope someday I will be one of the members of eikaiwa or ALT.. Thank you soooo much for this very detailed and helpful post! You are very welcome, Nat. I am SO GLAD I found your blog. It has given me lots of hope since I have been looking for tips to work in Japan teaching. I’m a young EFL teacher in Chile (I have my teaching license for primary and high school), My english level is C1 certified by Cambridge and I also have experience living/teaching abroad in the United Kingdom for 9 months. I’m currently teaching english in a university here in my country. With all of this info do you think I will qualify to apply successfully for an eikaiwa? I’ve been struggling for not being a native speaker. I think you’d be able to find a job with these qualifications as long as your pronuciation is good. However, whether you can get a work visa or not is a completely different story. Please refrain from looking for a job while on a tourist visa in Japan. It’s actually illegal. After reading your article I have one question. I have a bachelors degree as an accountant and i am not a native speaker of English. Sadly my country only has one spot in the jet program and it isn’t as an alt. The hiring companies that I look at all require native speakers or having been taught in English for 12 years. So i feel discouraged by that. Are there any hiring companies that i should send an application to nonetheless? I have a rich English vocabulary and my grammar skills are good. I do have an eastern europe accent though. Japan is a country that has attracted me for a long time. I am 46 now and willing to make the move. My japanese is bad. i can read hiragana and katakana. Kanji is still a mystery to me. And i only know 100 words now. Probably more if they are written in katakana. I will make sure to check out some of the links you provided. Thank you for writing the article. I wish I was aware of such programs when I was younger. So getting these articles out there is really valuable for some. I was in the exact same situation as you. Like I’ve explained, the reason why they require a native speaker is not for the job per se, but for the working visa. If you can bring your own visa (e.g. the working holiday visa, spouse visa), your chances are quite good. If not, you still might find a job, but might not get a working visa, so … keep that in mind. For most of those positions, you don’t need to be able to speak Japanese. It’s not a job requirement. Thank you for such informative blog about your experiences! I hope this is still active. 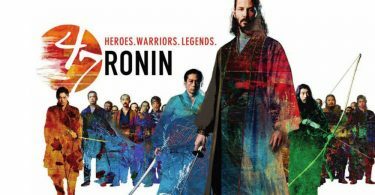 I have been wanting to work in Japan. I graduated with a degree in Psychology and there are education units in my program so I was able to get a professional license in teaching here in our country. Also, English is a part of our curriculum so basically since preschool, I’ve been speaking the language. I have a good chance to land a job right? But I’m also quite afraid of the risk. I’ve checked Peppy Kids and they are offering ¥240,000. Would that be enough if I would be assigned in at least a semi-urban/semi-rural area? I’ve seen that there are taxes and insurance that needs to be deducted from that. Added the rent and the daily expenses one needs to spend. I’m not really a big spender but I want to save and provide some for my sister here in our country at least. What do you think? With those qualifications you shouldn’t struggle finding a job. I don’t know where you’re from, but getting a work visa might be a challenge depending on your nationality. Taxes in Japan are ridiculously low (at least compared to some European countries). Health insurance is also fair. Hi there! I LOVE this article – especially the clear infographic – and have come back to it multiple times. I just wanted to share a different perspective from my experience as an ALT who actually wants to teach as a career. OK! Now the full explanation. I’m currently a JET and have been for a year and a half. Unlike many others, I actually came to Japan with more interest in teaching than in Japan itself! I chose the JET program because they paid for the flight and had a high salary. Once I moved to Japan and lived here for a long time, THEN I fell in love with the language, the culture, the people, the food, etc. :) So that’s my background. I saw commenters who said, “Oh, the ALT job isn’t impersonal! I know all my students!” and so on, but in my particular job that hasn’t been 100% true. EVERY SITUATION IS DIFFERENT for ALTs. JET really drills that slogan into our heads until we roll our eyes upon hearing it, but ESID is really, really true. One infographic can’t cover all the bases for an ALT; it’s kind of luck of the draw, really. Some jobs are personal, and some are impersonal. Mine is sort of a mix. I have hundreds of students at my senior high school, so it can feel impersonal at times in my regular classes, where students are often unmotivated. However, I LOVE my English club of 15 students, so that’s wonderful. I also have a lot of down time, but that’s really cool for studying Japanese, etc. Down time is how you use it. However, I want to TEACH, so for me – the busier I am teaching, the better! After 2 years on JET, I feel it’s time to move on to another job. I like my prefecture, but I traveled to Okinawa on vacation and INSTANTLY felt like I was home. I’ve now become obsessed with moving there, and so I’ve been looking into the Eikaiwa route. The more I look at Eikaiwas – from the teaching perspective – the more and more excited I get. Small classes, personal relationships, MOTIVATED students!! It really seems like a teacher’s dream, actually. I’m willing to do a bit of sales and work that wonky schedule in order to have personal classes where I can remember students’ names! And the big companies (like Aeon) seem to have some pretty cushy financial benefits similar to JET. Thanks again for the wonderful post!! And I totally understand how one can be obsessed with Okinawa. you can’t imagine to what extent i like your article, appreciate your concern with adding your personal practical experience, i just would like to ask a couple of questions. first as i’m not from a native English speaking country however i have a BA degree furthermore a valid academic IELTS certificate and i succeeded to hit 7.5 of 9 plus i’m going to finish my CELTA course by the end of next April.would this fulfill the requirements to apply for teaching position ??? to clarify my stance i’m contrary not fond of anything like the others but money :–)!!! yes i’m after money,!!!! which is the reason of my second question,what is the chances to increase my income bear in mind that i do speak Italian too. Absolutely. You would get a job with this. The question is if you can get a working visa which is an entirely different issue. And unfortunately, nobody can tell you unless you try. If you’re eligible for a working holiday visa, I’d highly recommend starting out with that. To be honest, other foreign languages are not demanded much in Japan … you could possibly do that as an additional part-time job in a big city – if you’re full-time job allows you to do so. Thank you very much for the wonderful article. It gives me hope that I might still have a chance to find something in this field. Can I just clarify one thing, please? What level of EL proficiency did you state you had in your CV? I have just completed mine on GaijinPot and the options I had to choose from were: “Native English” and “Fluent English”. My English is not native even though I had lived 14 years in New Zealand before arriving in Naha, Okinawa. I came to NZ at the age of 27 and there was no way I could loose my Slavic accent:). And I am not as fluent as native speakers. So I chose the “Fluent English” option and added in the CV that I have a near-native fluency. Do you think this and my “non-nativeness” will become a serious obstacle in my job hunting? It won’t hurt your job hunting that much, but keep in mind that it might be an issue when applying for the work visa. Wow, its taken me a few days and I’ve read EVERY COMMENT! What a great article and a great post.